Comedy duo Key and Peele are about to hit the big screen with their first feature film after wrapping up their successful Comedy Central sketch comedy show. Now, they dusted off one of their more popular sketches to help promote their new movie Keanu and bring attention to cats in need of adoption. Take a moment and meet the Real Treehouse Cats of Chicago. If you were a fan of Key & Peele then you’ll remember one of their recurring sketches was the East-West College Bowl Game. As part of it, Keegan Michael Key and Jordan Peele would take turns introducing themselves as college football players. Each would have completely bizarre names, and also hairdos. Here, they’re doing the same thing with cats looking for adoption. I have to admit there are some adorable cats here. 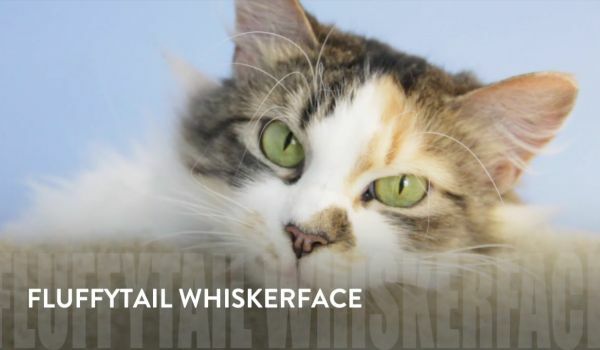 Our favorites include Tuna Catersol and Quakin' Face Ammonia Bottom. It’s probably a good thing I don’t live in Chicago or Fluffytail Whiskerface would probably be surprising my wife when she came home. Tomorrow will see the release of Keanu, in which Key and Peele play cousins who end up getting mixed up with LA drug dealers as a result of going in search of their missing cat. It’s the first theatrical release for the comedy pair, though it appears it will be the first of many. I got to check out Keanu last night and those who are fans of the pair’s sketch comedy will likely enjoy the film. There are even a couple of references to some of their sketches for those paying attention. If, for some reason, you’re not familiar with Key and Peele’s comedy, which means there is something terribly wrong with you, here’s what the East/West sketches looked like. Early reviews for Keanu are looking solid, significantly better than anything else coming out this weekend. Will the little kitten be the one to topple The Jungle Book from the top of the box office? If cuteness was all that was necessary, we're sure Keanu would get it done.